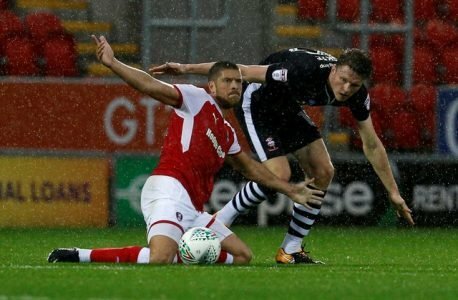 Rotherham United Manager Paul Warne told iFOLLOW that long term injured player Jamie Proctor will be wrapped up in cotton wool until next season. After an impressive start to the season the twenty-six year old striker had to be stretchered from the pitch against Charlton in August with an anterior cruciate ligament injury which has kept him out since then. ‘I don’t like to say it I think we are ruling Procts out for the season. It’s disappointing but there’s no point taking the risk and something happen it would be unforgivable. I think we’ll wrap him up until next season.